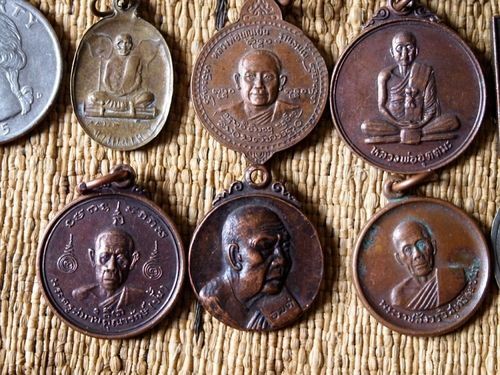 These authentic Thai Buddhist amulets have a rich history. 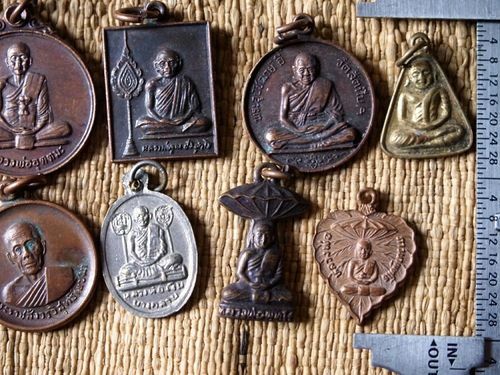 Thai amulets, charms and talismen are made by Buddhist gurus for various purposes: invulnerability, good luck, fortune, protection from evil, etc. 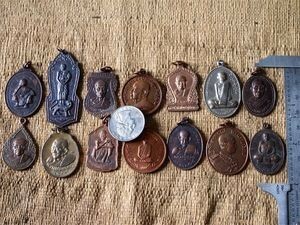 Many Thai Buddhists wear or carry amulets of different kinds. They are in some ways comparable to "holy medals" in Catholicism. An amulet may represent a famous Buddha image, may be blessed by a saintly monk or may be a more specific spirit to bring the wearer luck or to ward off misfortune. 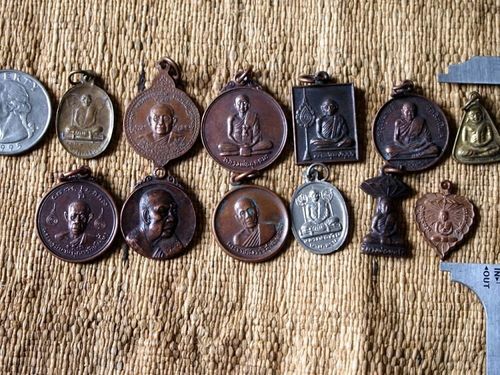 These coin amulet pendants feature an image of seated or standing Buddha. Amulets are sold individually -- let us select one for you from our pictured collection. These are smaller amulets which range in size from 18mm to 29mm tall (25mm is equal to one inch, approximately). All include a hanging loop and some include a jump ring. Please note that your selected amulet may differ from that pictured.